Beveridge & Diamond is proud to sponsor the National Bar Association Commercial Law Section's 31st Annual Corporate Counsel Conference, taking place in Dana Point, CA, from February 15 to 17. The conference is dedicated to identifying and retaining diverse outside counsel. 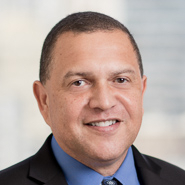 Of Counsel David McCray (San Francisco) will participate on a panel titled "Artificial Intelligence, Block Chain, 3D Printing & Internet of Things: Risks and Liabilities When Technology Leaps Ahead of Law," which will take place on February 15 from 2:00pm to 3:00pm (PST). David will provide his thoughts on the changes autonomous and connected vehicles bring to transportation, goods movement, land use, and the environment.